If you are reading this publication, you are probably a first-year beekeeper in the process of ordering bees and equipment, and you are devouring every piece of literature you can get your hands on about keeping honey bees. Maybe you already have a good idea of where you want to place your boxes of honey-makers, but you may not know whether the site is suitable for bees. Or maybe you have a year of beekeeping under your belt, but your bees did not fare well or produce much honey. You think your apiary locations may be poor, and you are looking for some guidance. Read on! Whether you are an urbanite or a country-dweller, there are probably several suitable locations for your hives in the vicinity, but you will need to run through the following assessment before settling on a particular site. Honey bees fare surprisingly well in cities and suburbs, and they often overwinter better in these environments than in rural settings. There is usually an abundance and a wide variety of flowering landscape plants and little competition with feral bees for resources in urban communities. Depending on where you live, there may be zoning codes (e.g., minimum size lot on which you can keep bees, maximum number of colonies per yard) or city ordinances (e.g., whether or not they are allowed inside city limits, or specific areas where beekeeping is prohibited) that govern beekeeping inside city limits. If you live in a housing development, there could also be health codes or animal ordinances that forbid residents from keeping hives. Rural communities dominated by monoculture field crops usually require supplementary feeding or relocation of hives to provide continuous forage. If you are lucky enough to have access to naturalized prairie landscapes with mixed hardwood tree lines, you will likely enjoy yearround, high-quality bee forage. Most rural communities do not have laws or regulations for keeping honey bees, but there are a few safety concerns for both rural and urban environments discussed later in this publication. Also, if you plan to have a small beekeeping operation, you may choose to register your apiary with the Mississippi Bureau of Plant Industries (662-325-0522) and take advantage of annual apiary inspections, but this is not required for noncommercial operations. Bees prefer to forage within a 2-mile radius of the hive but can travel up to 5 miles if necessary. Since it is improbable that you will be scouting all the vegetation within your bees’ foraging radius, there is a bit of trial-and-error involved in finding a site that provides enough food from spring to fall. This knowledge can come only with time and experience, but the best beekeepers learn to keep bees in areas of abundant floral sources throughout the growing season (February to October in Mississippi). Often, there is a dearth of food during the hot summer months (July to August), but, in some areas, there are plants that bloom even during our hottest months. Avoid oversaturating an area with bees, and thus depleting forage, by checking to see if there are already hives established nearby. There should also be a source of water available yearround, whether natural or artificial. In urban areas, a simple drip from a faucet can produce a puddle where bees can drink. Alternatives include fountains and ornamental ponds that might be part of your gardens or landscape. Sometimes, despite a beekeeper’s best efforts, the bees will chose a neighbor’s swimming pool as a source for water. Bees seem to like water that contains salts (like the ones used to chlorinate the pools), and once a hive fixates on a swimming pool, it can be almost impossible to deter foragers. The resulting conflict between beekeeper and neighbor can become bitter. In these cases, even if there are no zoning laws against bees in your community, we strongly recommend that you move the bees to another location to remove the problem. This may seem unfair, but beekeepers are ambassadors for all of beekeeping. A stubbornness to maintain bees that harass neighbors may prompt action by the affected parties that could lead to ordinances that limit beekeeping for all citizens in an area. If you are planning on setting up your colonies in an outyard (an apiary that is separate from your place of residence), consider how you are going to transport equipment and supplies to the apiary site before you order your bees and equipment. If the target location is a low or flat field, a four-wheel-drive truck or all-terrain vehicle will probably be necessary at some point. Make sure the grounds are not prone to flooding; avoid close proximity to drainage ditches and creeks. Also, if you have multiple apiary locations, try to keep them close enough together that they can all be checked promptly if inclement weather should strike. That being said, you will want to maintain a minimum distance of 3 miles between apiaries to reduce robbing events (when bees from one apiary attack and steal honey from another apiary). This amount of separation will also cut down on the spread of pathogens and pests between apiaries. If you are planning to produce varietal honey, colony location is determined by the distribution of floral species, and you may have little control over the proximity of your outyards. But, in general, you can save a lot of time and money by mapping out your apiary locations strategically so that they may be visited all in the same day. The entrance of the hive ideally should face somewhere between south and east. The advantage to an east-facing entrance is earlier foraging flights, and a southfacing entrance promotes longer foraging periods in the cooler months. Hives can be placed directly in the sun (see Sun Exposure below) or along a tree line, but it is not recommended to place them in wooded areas. Wild colonies prefer to inhabit tree holes in wooded areas, but the high elevation offers protection from many pests. In managed colonies, which are kept low to the ground, understory locations encourage invasions from small hive beetles and ants (particularly Argentine ants in the Southeast). A line of trees or shrubs, or even a building, on the north side of the hives is ideal, as this provides a wind break in the winter months and reduces colony loss due to chilling. winds and out of danger of flooding. The degree of sun exposure hives can handle in the South is debatable. Some management protocols for small hive beetles and Varroa mites suggest that it is best to place colonies in full sun at all times. Scientific studies have shown that the growth of these pests is retarded by the hot and dry conditions of fully exposed apiaries. However, there is no doubt that full sun exposure can be very challenging for honey bees during the hottest months of our humid Mississippi summers. Since evaporative cooling is more difficult in high humidity, colonies will need to work much harder to cool their hives, and there will be a greater tendency of worker bees to vacate the inside of the hive to help cool the nest. The bees will beard on the outside of the hive, which can make them more vulnerable to insecticide drift (for example, from mosquito control sprays at night). The stressors from full sun exposure may also reduce honey production in your bees. Ultimately, each beekeeper will need to decide on which is more stressful for their bees—having to work harder to cool the nest or having to deal with increased pest pressure. Arrangement of hives within the apiary is a matter of preference and practicality more than anything. The two most popular designs are single rows and quads on pallets. When hives are placed in a straight line, it is a good idea to leave a few feet between them and alternate the direction the entrance faces to help reduce forager “drifting,” or returning to the wrong hive. Drifting can promote the spread of diseases and pathogens between hives and is undesirable in the apiary. A randomized placement of hives may be less convenient to the keeper but will greatly reduce unwanted mixing of bees, so you need to determine what is more important for you and your operation. Avoid liability issues by placing hives away from areas of human or animal traffic whenever possible. Some honey bees will not tolerate the presence of nearby horses or cattle and may attack grazing animals that wander too close to your hives. Cattle in particular are known to use hives as “scratching posts” and can quickly disassemble a colony. An electric fence placed 20 feet out from hives will usually do the trick separating livestock from bees. Never keep honey bees near penned animals (e.g., dogs or horses) that cannot escape attacking bees. Your bees may initiate an attack because of a nearby disturbance by the penned animal, and if the animal cannot escape, the defensive response may continue until the animal is killed (around 10 stings per pound of body weight can kill most mammals). When keeping bees near public access areas, there should be a 6-foot (minimum) barrier a few feet in front of the hive entrance to encourage bees to fly up and over the heads of pedestrians. It is a good idea to maintain docile bees in urban and suburban settings, which usually means annual or biennial requeening with gentle stock. It is also important to keep the flight paths of bees from crossing busy roads or highways. Honey bees tend to stay low across fields and lawns that do not have obstacles to flight, and if they are kept too close to roads, the bees will cross the path of vehicles and be readily killed in large numbers. If you do not have suitable forage near your own property, you may want to consider renting or “borrowing” space on private farmland. Many growers are receptive to allowing hives to be placed on or near their crop fields, usually at no cost due to the pollination benefits to their crops. Peach, blueberry, and muscadine orchards are potentially good sites, as well as melon or squash patches or seed production farms. Offer a share of your honey harvest as “rent” and you will likely have a deal. Be sure to discuss the risk of pesticide exposure with the grower ahead of time to avoid comb contamination or bee kills. Pasture land can be an excellent source of bee forage if it is not sprayed for weeds or planted in monoculture grass. Open rangeland used for grazing cattle is often rich in asters, sweet clover, verbena, and milkweed—all of which are excellent nectar sources. If you choose to use someone else’s property, please be aware that they have the right to ask you to remove your hives at any time. It is important for beekeepers to maintain a positive relationship with growers and farms so the mutual benefits of honey bee pollination will continue to be enjoyed by all. Visit www.mdac.ms.gov for a downloadable copy of the Mississippi Honey Bee Stewardship Program, which provides guidelines for keeping bees on agricultural land.  Also see MSU Extension Publication 2829 Protecting Pollination by Honey Bees in Mississippi. 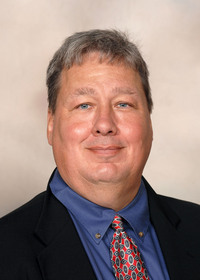 By Audrey B. Sheridan, Extension/Research Associate, Biochemistry, Molecular Biology, Entomology, and Plant Pathology, and Jeff Harris, PhD, Associate Extension/Research Professor, Biochemistry, Molecular Biology, Entomology, and Plant Pathology. Artwork by Audrey B. Sheridan.